80 percent of success is showing up, tack on another 5 percent if you show up in style. Incredible memoir about the highest levels of professional tennis, Open is the engrossing story of a remarkable life. The smallest tennis racket in the world. Perfect size for 1, 2 and 3 year olds to start loving tennis. Playing fetch with your dog will be a blast with this toy! The joy of dog exercise and launching a ball 75 feet through the air. Connect your iPhone or Android device to get the info you need. 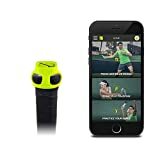 Great for when on the court to easily see who is contacting you. 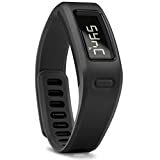 Great way to track your daily activity. Vivofit learns your activity level and assigns a personalized goal each morning. See how your serve compares to the top pros in the sport. Tennis is just as much a mental game as it is a physical one. This book gives first hand accounts on improving your game. Analyze your serve and stroke in 3D and measure the intensity, consistency, and power of your match play. One year subscription to Tennis Magazine which offers news, tips, drills, and many other interesting articles. 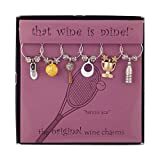 Every wine and tennis lover should own these glass charms. 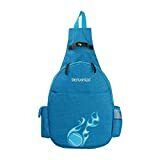 Great for post tennis match wine and cheese gatherings. Give the gift of tennis lessons!